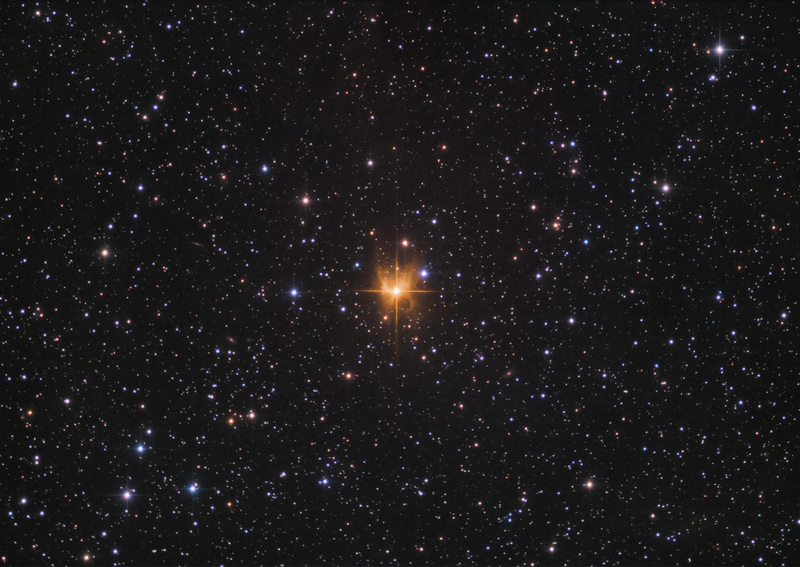 IC2220 is the result of the reflection of gas and star material coming ejected from the red giant HD 65750. It is clearly visible that the material emitted from the red star is not displaced equally in all directions. It is thought that the material is distributed via magnetic fields, electric fields or the rotation of the central star giving an irregular shape. Astrophotographer David Malin called this object the Toby Jug Nebula after the ornamental English drinking vessel or beer mug. For some others the shape resembles a similarity with a flying butterfly. The object is located approximately at 1º 40' from open cluster NGC 2516.